Don’t miss out on buns, get them early! 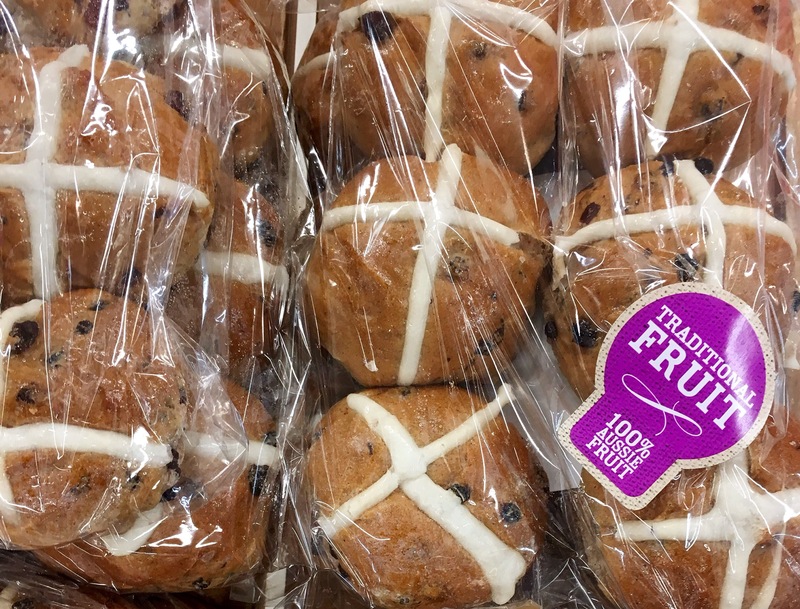 With Easter being over four months away, I was surprised to see hot cross buns in the local Coles supermarket today (2nd January). They were proudly displayed near the entrance to the shop, between the bread, fruit and vegetables. I didn’t dare look to see if chocolate eggs and bunnies had reached the shelves. I also noticed a sign near the bread section announcing more produce was being sourced from our home state, NSW (New South Wales). My first reaction was, where was it coming from before. Then I remembered that a couple of years ago there had been allegations of “freshly baked” bread being made in Ireland, frozen and then reheated. I resisted the temptation of filling the trolley with buns, because we are still enjoying panettone from Christmas. Perhaps hot cross buns are no longer seasonal and have been lurking in the bread section for the last twelve months. It is reassuring to note that these buns contain Aussie fruit, what about the flour yeast, eggs, sugar etc? Yes how very silly, some stores had them 27 December. The titled led me to believe you were mentioning buns of another kind, hot buns! LOL! we are awash with Valentines items in our grocery store, which uses carts by the way. I have never heard the term trolley before. I just love different words for the same thing.